New On the Market!!!!! Be the first to see the outstanding waterviews this home has to offer. 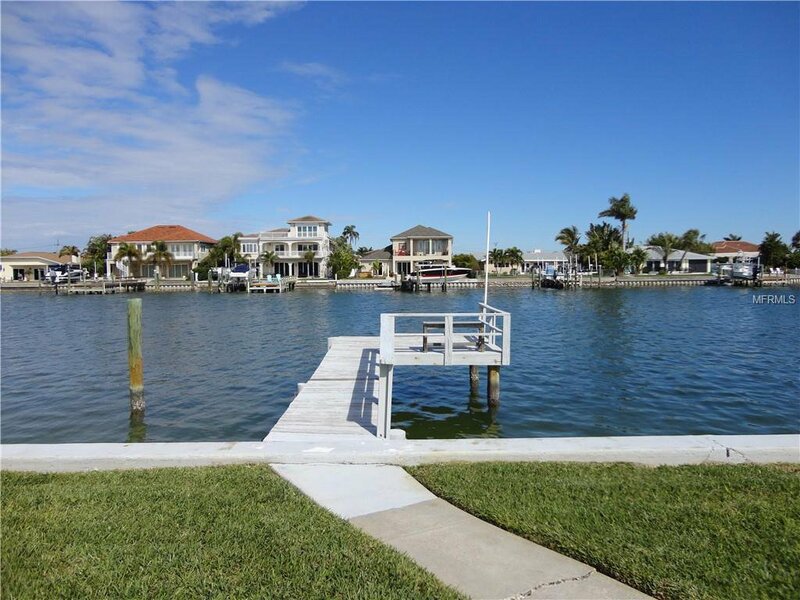 Canal and open water views of Boca Ciega Bay on Isle of Palms, Treasure Island. Beautiful Sunrises Galore. Here is your chance to own a waterfront home at a reasonable price. 2 spacious bedrooms, 2 baths, 2 car garage. Over 1600 Ht. Sq. Ft. to include the Florida Room which is Heated and Cooled (Not in the County tax records). Kitchen features eat-in space and newly refurbished terrazzo floor. Light and Bright living areas. Eat-in Kitchen. Large cedar walk-in closet in Master Bedroom. Spacious Living/Dining Room area. 2 Sun Rooms. BONUS ……Terrazzo flooring throughout however it is covered in carpet except Kitchen and Foyer areas. Lush landscaping, fenced yard and deeded dock. Lot size is 73 120. For boating and fishing enthusiast John’s Pass is just a short jaunt to the Gulf of Mexico. Waking and biking distance to downtown Treasure Island, Beaches, Shopping, Bars and Restaurants and 20 minutes to Downtown St. Petersburg. Listing courtesy of RE/MAX METRO. Selling Office: PINEYWOODS REALTY LLC.